In Canada, 38% of households have at least one cat. A report from 2017 said there is an estimated 9.3 million owned cats throughout the country! Thinking about spoiling our feline friends over the Christmas Holidays just jumped to the top of the list! Here are some ideas that your cat would love on their Wish List! A super simple gift idea is the leftover boxes from presents opened on Christmas morning. 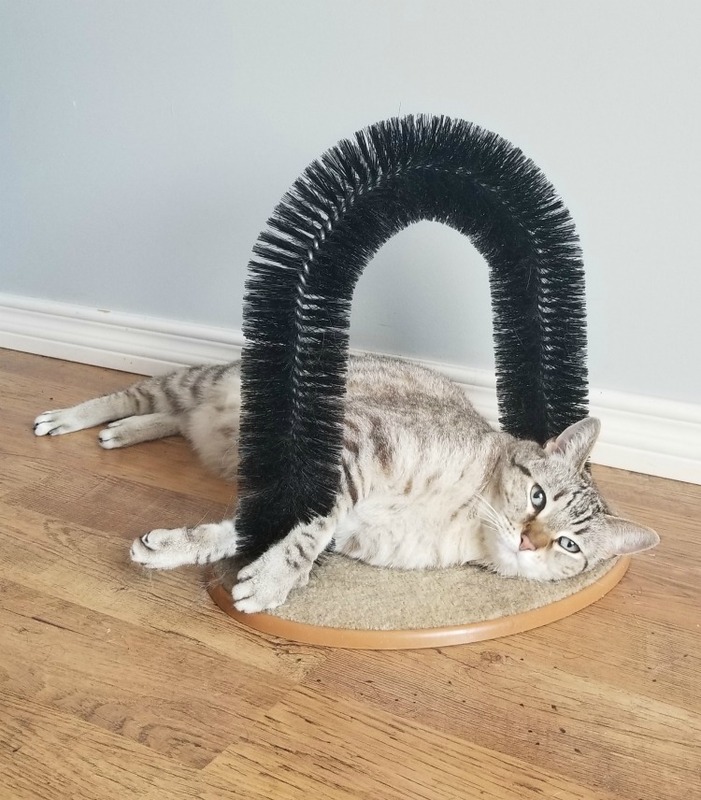 It’s already going to be in your house, it’s free, and it’s a tried and true item that cats love to play with! Make it more interesting by adding some wrapping paper or tissue paper inside for them to play with. Remember tinsel is NOT acceptable for cats to play with. It can easily cause a foreign body by tangling in your cat’s intestines. Another present to get a cat is a can of their favourite food. Human food like turkey and ham over the holidays are too rich for your cat to eat but spoiling them with the canned version of their dry food is an easy way to give them a special treat that is healthy and safe! Catnip is a good present to entertain your cat. Every cat reacts differently to catnip and is a safe and fun product! You can put catnip on a carpeted cat tree, in a toy or on a cardboard scratching post. Make sure you put the catnip on an appropriate area for your cat to scratch and rub on. 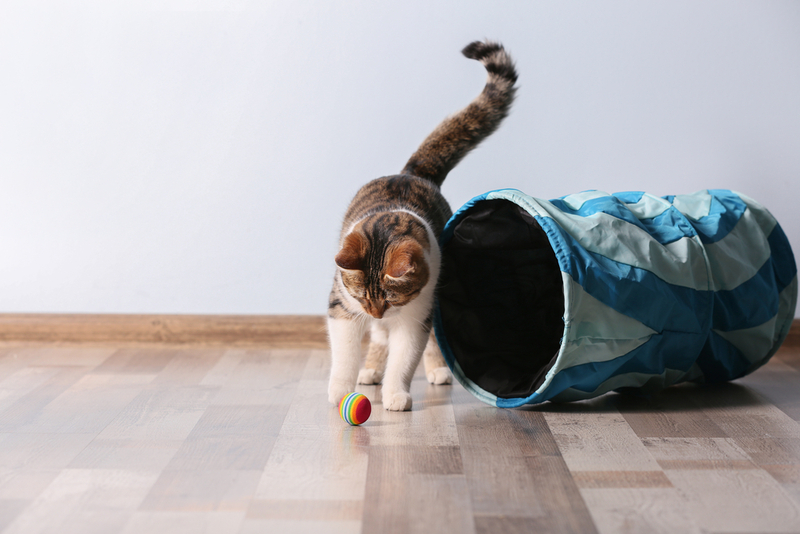 Lastly, there are many different fun and interactive toys that your cat will enjoy. Little mice toys, balls, feather toys on a string are all great options. Other items to enrich their environment can be tunnels or scratching posts with different levels. If you think your cat needs some more exercise, there are a couple of ways to achieve that with easy items. One would be a laser pointer to shine along the floor for your cat to chase. Just make sure you keep the laser away from their eyes. Another easy way to get your cat moving is a treat ball. They have little holes in it when your cat pushes it around the treats or dry kibble fall out. This helps an overweight or bored cat work for their food. This list should give you plenty of ideas to spoil your feline friend this Christmas! The staff and their pets at Lomsnes Veterinary Hospital would like to wish you all a safe and healthy holiday season.